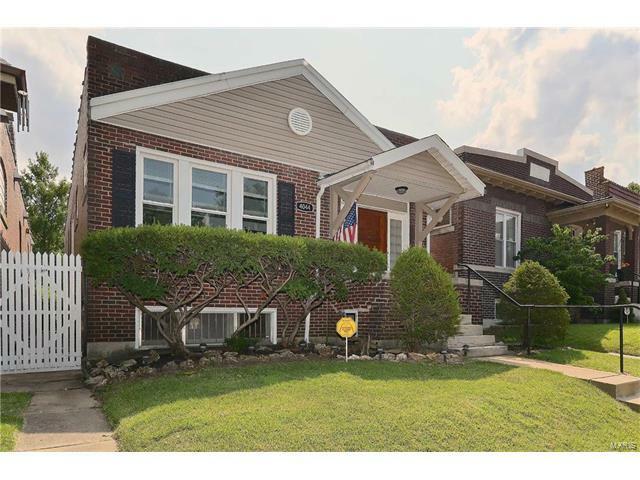 3 bedroom Tower Grove Bungalow with a master suite for under $200k! Situated on an adorable block, it's a stone's throw away from all the action TGS has to offer -- shops & restaurants on Grand & Morganford, Civil Life, Botanical Gardens, the future home of Steak Louie & the Food Truck Court, yoga in the park, & the farmer's market. The light-filled entryway opens to the living room featuring the original fireplace with built-in wood shelving. The dining room shows off a charming light fixture & large windows. The spacious kitchen features white shaker cabinets, custom wainscoting, granite counters, stainless appliances, & a pantry. The bathrooms are large & bright w/ updated tile. The master suite is located in the back of the home for added privacy, a great oasis with its own split system, walk-in closet, & a full bathroom. Other features include an adorable fenced-in backyard w/ brick pavers, a large outdoor workshop/shed, & a walk-out basement. 1 amazing home for 1 lucky buyer!